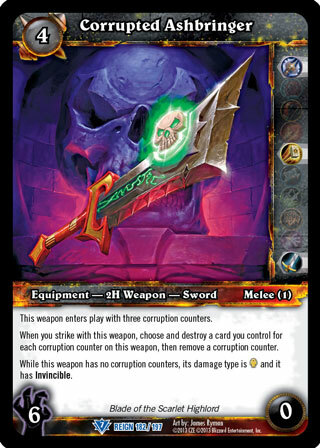 Rules: This weapon enters play with three corruption counters. When you strike with this weapon, choose and destroy a card you control for each corruption counter on this weapon, then remove a corruption counter. While this weapon has no corruption counters, its damage type is [HOLY] and it has Invincible.